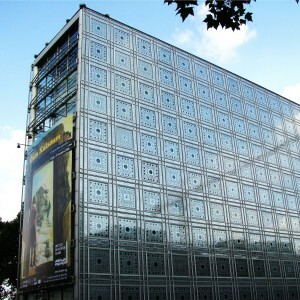 The Institut du Monde Arabe in Paris is an organization founded by France and 18 Arab countries to make the Arab world known by presenting its culture and values. 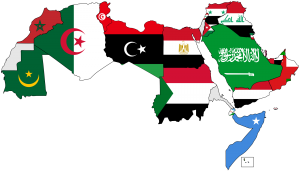 Furthermore, France and Arabic countries have been working together, specifically in the fields of science and technology, in order to develop an exchange of knowledge between Europe and Arabic world. The Institut du Monde Arabe in Paris is also became a museum on on 2012 and it is located on the banks of Seine at 1 rue des Fossès, Saint-Bernard in the 5th district. It is a five minute walk from the Jussieu and Cardinal Lemoine metro stations. The architect Jean Nouvel created the building with the “brise soleil system” in mind. The building automatically opens, closes and regulates the amount of light and heat coming into the building. This climate-oriented strategy creates different light spaces, an effect often used in Islamic building projects. 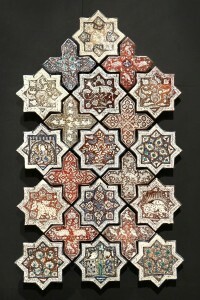 Why should you visit the museum of Institut du monde Arabe? The museum allows you to discover the Arab-Islamic world through hundreds of years of civilizations with different customs and practices. The museum spans four floors, starting from the top to the bottom, chronologically following historical periods. The museum sets out several objects as bronzes, ceramics, woodwork, textiles, scientific objects, illuminations, which will give you the chance to know areas rarely knew as ancient and medieval archeology, arts and crafts, ethnographic and contemporary art. During the course, thanks to an installation of sounds and images you will be brought to the heart of Arabic environment in a unique almost real experience. 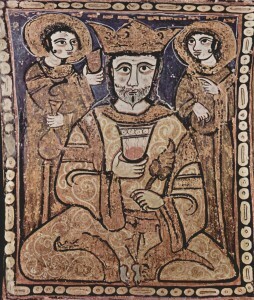 Every year additional exhibitions are organized displaying pieces, often unpublished, from Riyadh National Museum (Saudi Arabia), the National Museum of Bahrain, and the museums of Damascus, Aleppo, Latakia and Palmyra. Hurry there! The museum will be presenting an exhibition called “Osiris: Egypt’s Sunken Mysteries” until March 6th! The Institut du Monde Arabe in Paris costs 8€ for standard entry, 6€ for job-seekers and groups larger than six people, and 4€ for people under 26 years old and non-European Union residents. For more information and tickets link to the Institut du monde Arabe website. 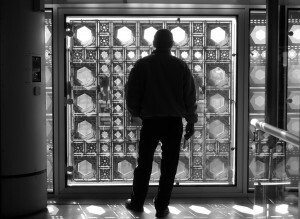 Who should visit Institut du monde Arabe? The visit is suggested mostly to couples, honeymooners even families considering the presence of recreational spaces as restaurant and café. 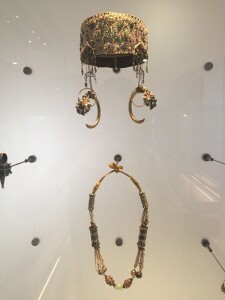 If you are interested in Arabic culture and Islamic world, then the Institut du Monde Arabe in Paris is the place to visit to learn more about the culture and practices of these population that lately have unfortunately suffered a depp social crisis. Are you planning a trip to Paris, want to stay in the city-centre and have a limited budget but do not want to stay in a hostel?? 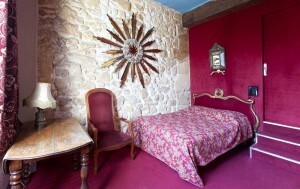 The Hotel Esmeralda Paris will give you a very nice hotel experience. Opened over 150 years ago, Hotel Esmeralda Paris bears the name of the girl who inspired the famous French poet Victor Hugo. It is an original hotel that kepts its ancient style. I personally stayed in this original hotel and I can recommend to you this hotel as very comfortable and welcoming. 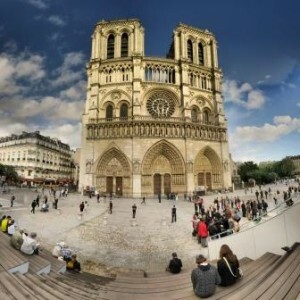 The experience made even better, thanks above all, to the fantastic view of Notre Dame Cathedral, the Seine river and the park of Saint-Julien-le-Pauvre where there is the church of the same name and the oldest tree in Paris, planted in 1601. Due to the building dimension there is no lift, but the stairs are not difficult to climb with baggage. You will have the possibility to choose among different rooms with their own personal furniture, inspired by artists such as Victor Hugo, Maurice Béjart or Serge Gainsbourg, which were regularly hosted by the Hotel Esmeralda Paris. You will never feel disoriented during your stay, thanks the excellent reception service which will help you with information and suggestions as much as possible. We suggest this Hotel Esmeralda Paris to young people, couples and to all who wants stay in a central place in order to reach easily all the Paris beauties and the entertainment. With a price range of 85€ for a single room to 150€ for a triple room Hotel Esmeralda Paris has one of the best values in the city-centre. The Hotel Esmeralda Paris is situated in the heart of the city, in the 5th district near to Notre Dame Cathedral in the famous Latin Quarter. It is within walking distance from Maubert-Mutualité and Cluny-La Sorbonne on metro line 10 and Saint-Michel and Cité metro line 4, as well many buses lines. All of the historic sites near the Seine are reachable with a short 5 minute walk. Furthermore, crossing the Ile de la Cité you can easily visit the famous Le Marais quarter with its great night-life and shopping streets. Nothing more needs to be said about the fabulous position! How many others places are so central that you get to stay across the river from Notre Dame Cathedral in Paris ?